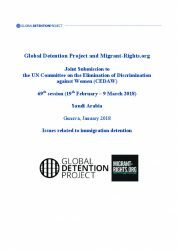 Foreigners account for nearly 90 percent of Qatar’s 2.2 million population, and thousands – including pregnant women and their children – have been detained in recent years, sometimes for periods lasting more than a year and in overcrowded conditions. 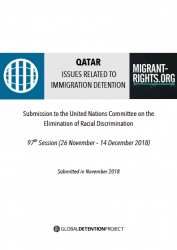 The GDP and Migrant-Rights.Org’s latest submission to the Committee on the Elimination of Racial Discrimination highlights the conditions migrants face, and presents key concerns that Qatar should address. 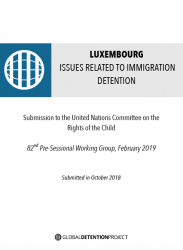 In 2013, following its examination of the combined third and fourth periodic reports of Luxembourg, the Committee on the Rights of the Child (CRC) recommended that Luxembourg adopt legislation to prevent the detention of unaccompanied children. 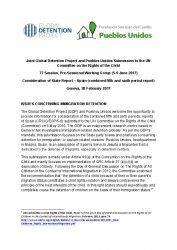 Today, however, the country’s legislation continues to allow for their detention. 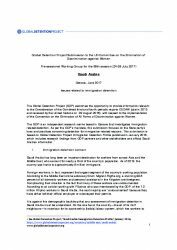 In our latest submission to the CRC, the GDP poses key questions that Luxembourg should be urged to address. 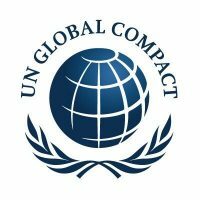 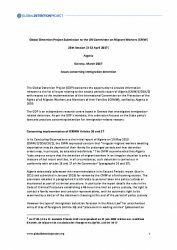 The GDP submitted comments to the UN Special Representative for International Migration as part of the preparatory phase for the Secretary-General’s report on the Global Compact for Migration. 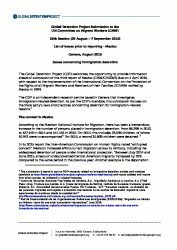 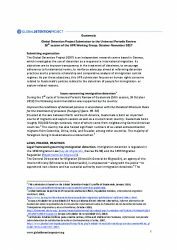 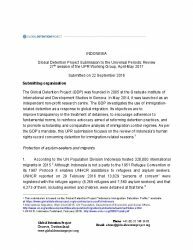 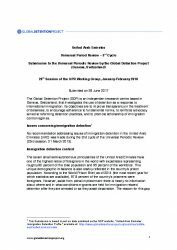 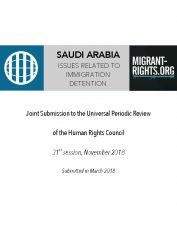 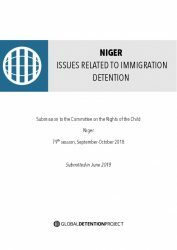 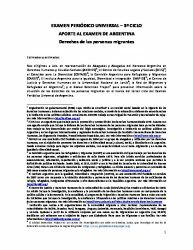 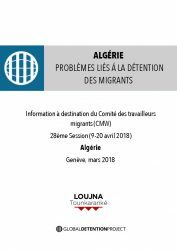 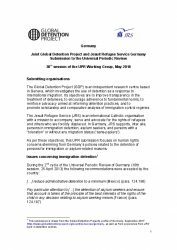 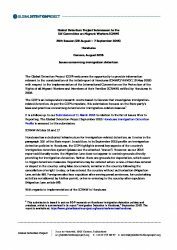 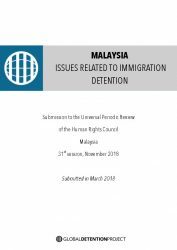 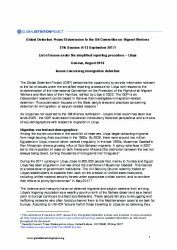 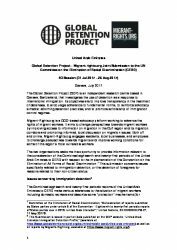 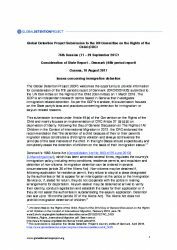 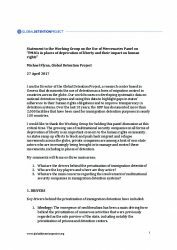 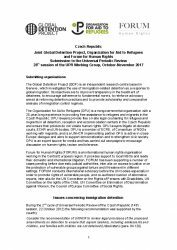 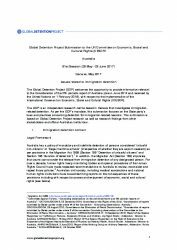 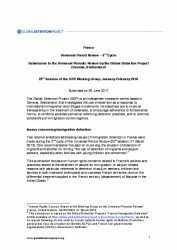 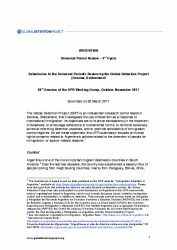 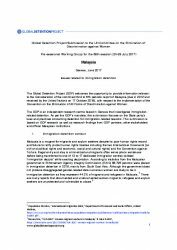 The submission focuses on immigration detention, improved transparency and data collection on the human rights of migrants, and concerns about the human rights commitments of international organizations involved in global migration governance. 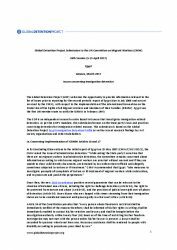 Submission in relation to the European Ombudsman’s own-initiative inquiry concerning the means through which Frontex ensures respect for fundamental rights in joint return operations.